little bit about the band? 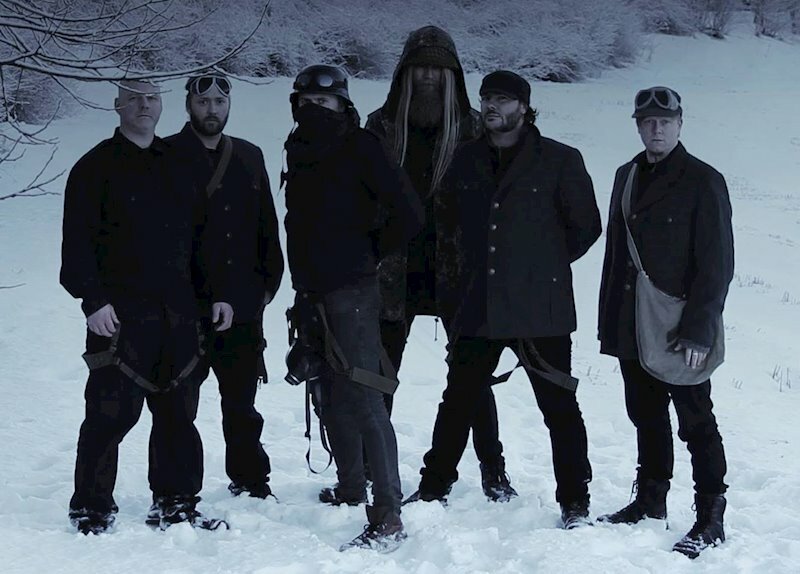 genres, but rooted in the industrial,cinematic metal landscape. New Trondheim - the new capital for the Germanized Scandinavia. can find traces of industrial rock, metal and electronic music. more about the musical style you went for on the album? went for on the recording? you tell us a little bit more about your interest in these topics? its like they made me start Drontheim and I´m grateful for that. 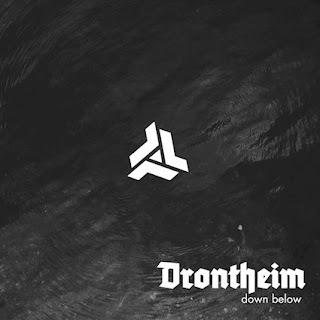 6.What is the meaning and inspiration behind the name 'Drontheim'? child′s play" by comparison as a military stronghold. Øysand. A reserve landing strip for airplanes was also put in place. and several of the other songs and videos also plays around this theme. also how would you describe your stage performance? gear, gadgets we use and what we´ll do on stage. these days that some of the band members are a part of? finished an experimental album, and is currently planning publishing. Rune: More of the same. More of everything that sounds good. influence on your music and also what are you listening to nowadays? Rune: David Sylvian, Bowie, progressive bands, ambient soundscapes. Peeping Tom, Rammstein, Seigmen, Slagmaur just to mention some. inspirators, warehouse workers- and we like beer. New York's Spaghetti Blacc has returned with a new recording which brings in a mixture of classic metal, rap, world and electronic music and this is a review of his 2019 album "Carnival of Redacted Sciences" which was released by Blacc Ski Weekend Industries. Hip hop music sounds start off the album along with some rap style vocals a few seconds later. At times the music also gets very experimental and avant garde sounding along with some of the tracks being very long and epic in length. Female vocals can also be heard in certain sections of the recording. Elements of ethnic and world music are also a very huge part of the songs that are presented on the recording. One track also introduces electronic music sounds and programmed beats into the music which also gives the songs a lot more variety and as the album progresses touches of ambient are also added into the music. Most of the songs also sound very different from each other and when guitars are finally added into the music they bring in more metal influences. 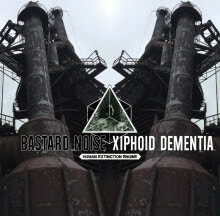 What makes this album different from previous releases is that the harsh noise elements are absent from the recording and some of the tracks are also instrumentals. The production sounds very dark while the lyrics cover philosophical, political and occult themes. In my opinion this is another great sounding recording from Spaghetti Blacc and if you are a fan of metal, rap, experimental, world and electronic music, you should check out this album. RECOMMENDED TRACKS INCLUDE "Location On" "Omega Unorthodox" "King Midas" and "Distant Solicitations Of Idolatry". 8 out of 10. 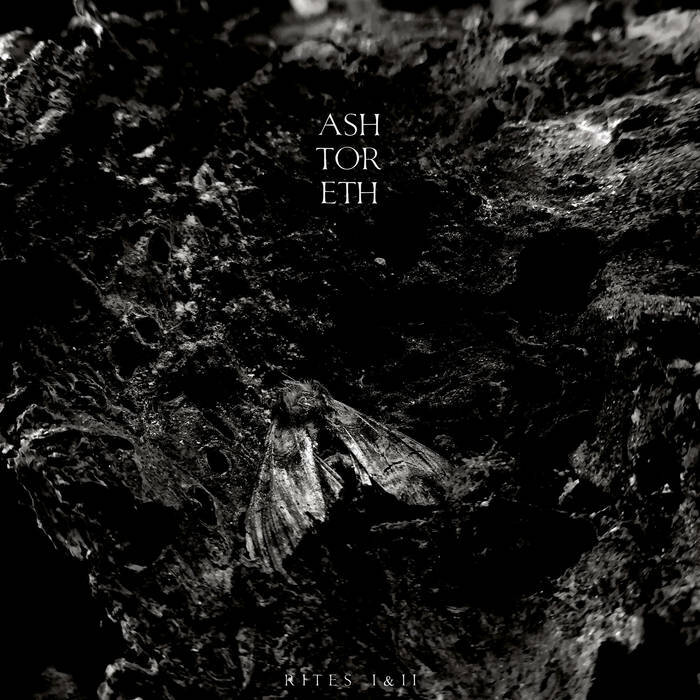 Ashtoreth is a solo project from Belgium that plays a shamanistic and ritualistic mixture of ambient, drone and doom metal and this is a review of his 2019 album "Rites I&II" which will be released in February by Cyclic Law. 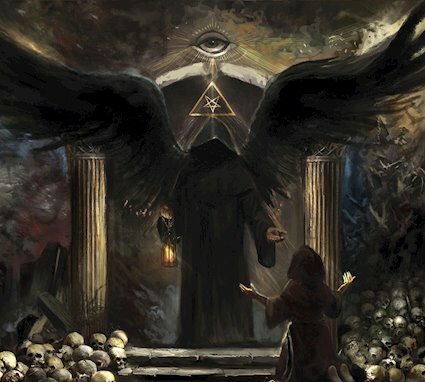 Heavy doom metal guitar riffing starts off the album along with some ritualistic chants while both of the tracks are very long and epic in length. A great amount of guitar orientated drones can also be heard quite a bit throughout the recording as well as some heavy amp distortion. Dark ambient soundscapes can also be heard quite a bit throughout the recording and also give both of the tracks more atmosphere. Clean guitars are also utilized in some parts of the music as well as some nature orientated field recordings also being utilized briefly towards the end of the first track. Throughout both of these tracks the music also brings in a great amount of diversity as well as bringing in a very shamanistic sounding atmosphere at times as well as being very meditative and minimal in its approach and taking on a journey through nature. Most of the music is instrumental and the production sounds very dark. 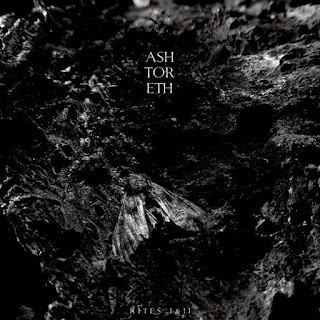 In my opinion Ashtoreth is a very great sounding shamanistic and ritualistic mixture of ambient, drone and doom metal and if you are a fan f those musical genres, you should check out this solo project. RECOMMENDED TRACK "Rite I". 8 out of 10. 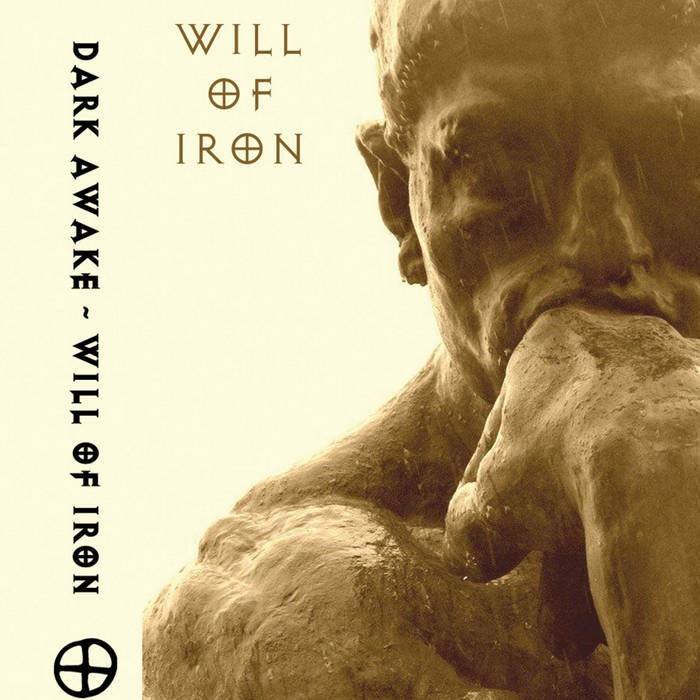 Greece's Dark Awake has returned with a new recording which continues his mixture of ritual, dark ambient, martial, neo folk and neo classical and this is a review of his 2018 ep "Will of Iron" which was released on cassette by Heathen Tribes. Dark ambient style soundscapes and synths start off the ep while the drum beats gives the music more of a militant and martial feeling. A couple of the tracks are also very long and epic in length and at times the music also gets very atmospheric sounding. When clean vocals are utilized they add in the atmosphere of the WW2 era. The second track is a cover of Bathory's Song to Hall Up High" which replaces the metal style with operatic female vocals and more of a neo-classical style as well as introducing whispers onto the recording. At times the music also gets very ritualistic sounding along with all of the tracks sounding very different from each other. As the ep progresses folk instruments are added onto the recording along with the music also getting more experimental sounding. The ep also closes with a cover of Lordian Guard's Winds Of Thor". the production sounds very dark while the lyrics cover Norse Paganism and Occult Philosophy themes. 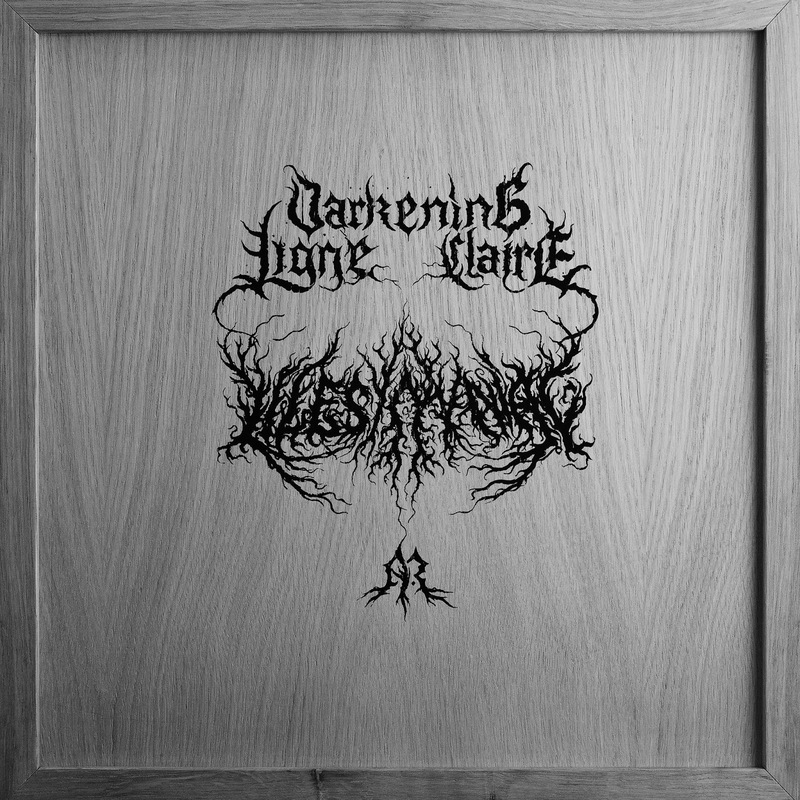 In my opinion this is another great sounding recording from Dark Awake and if you are a fan of ritual, dark ambient, martial, neo folk and neo classical, you should check out this ep. RECOMMENDED TRACKS INCLUDE 'Will of Iron" and "Libera Nos A Mallo". 8 out of 10. In addition to promoting the new album as much as possible, we have actually been working on new music for the next album since and even before the release of the new album. We currently have close to 43 minutes of new music composed already. With luck we should have another album ready at the start of 2020 if all goes well. 2.Early this year you had released a new album, musically how does it differ from the stuff you have released in the past? The two major differences are that unlike the earlier music which was more darkwave / gothic influenced and mainly supported with synth based music, the new music is more cinematic / classical in style rooted more in actual composition. The main difference, and this was always one of my goals with Autumn Tears, is that now all the music is recorded with all live classical instruments as opposed to keyboards or sound libraries / VST. 3.Before 2018 you had taken a 10 year hiatus from releasing music, do you feel their has been a lot of changes since then with the way people have changed in the music industry over the years? Absolutely it has changed dramatically. For one, compact discs sales are nothing like they were 10 years ago. Everything is digital now. When we first started back in 1995, we were able to sell so many CDs back then, and even 10 years ago. Now it's all itunes, spotify, pandora, etc. I realize times change but I guess I'm old school where I still appreciate have the actual physical CD, or better yet, vinyl. 4.What are some of the lyrical topics and subjects you have explored with the newer music and also how would you describe your progress as a songwriter over the years? The new album, and even the EP "The Origin of Sleep" before that, are part of a larger concept based on the idea of the universe and the birth and of the goddess Gaia. I wanted to write something more meaningful and mature than much of the older, darker themes that were the root on Autumn Tears philosophy back in the 90s. Back then it was more of a trend to try and be as dark and depressing as possible with music, but i'm 48 now and quite happy, and want to touch on concepts that are on a much deeper level. Same goes with the songwriting. I've pent the last 10 years studying music composition so when we finally did make a comeback, the music would be so much more than it had been in the past. 5.I remember in the mid 90's and early 2000's the band would get a lot of press in the metal scene while being of a complete different genre, do you feel their is a lot of similarities between goth, classical and the more darker forms of metal? I definitely feel there are many similarities and a lot of crossover interest between the genres. Back then (and even still) I was very much into the underground metal scene so I decided to take a chance and promote Autumn Tears in that market. It seems nowadays there are a lot of classical / metal bands so I think they style still fits like a glove. I'm not sure how much of a goth scene there really is anymore compared to the 90s but I know Project records is still around and they were one of the giants of the scene back then. The cover was painted by an amazing Polish artist that I discovered named Graszka Paulska (https://www.facebook.com/graszkapaulskaart). Her paintings are exquisite and I felt her style was the perfect visual representation for the music. The imagery captures exactly how I want the songs to be represented. Her artwork also graces the cover of the Autumn Tears - Convalescence: A Retrospective Official 2018 compilation CD that was released last year on Dark Vinyl Records. 7.On the new album you worked with 30 different musicians, can you tell us a little bit more about how you went with this process and also do you feel it made the music sound a lot more powerful? From when I first began Autumn tears in 1995, It had always been my dream and goal to one day use real classical instruments instead of keyboards and sound libraries for the music. Back then it was never really feasible with our humble budget or experience. We slowly started to employ organic instruments for the first time on the 2004 album "Eclipse", with the introduction of woodwinds and Contrabass. Then in 2007 for 'The Hallowing", we added some violins. After our 10 year hiatus, our comeback offering "The Origin of Sleep" was our first fully organic release employing a full string, horn and woodwind section as well as orchestral production. With the new 2019 album "Colors Hidden Within the Gray", we took it a step further by adding some ethnic and world instruments to diversify our sound, yet still retain that cinematic, orchestral feel which is grander and more powerful than any music we have released previously. For example, the song "The Day of Wrath" on the new album has 64 individual instrument tracks, something that we have never attempted before. 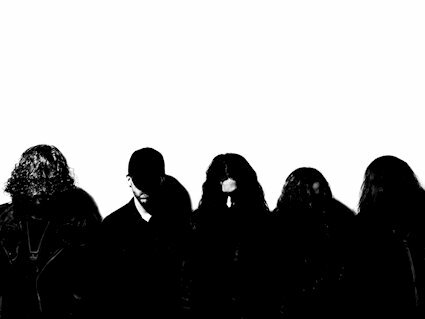 8.At one you also ran the 'Dark Symphonies' label,is there anything going on with that label these days? I actually still run the Dark Symphonies label 24 years later, although now we no longer run a mail order or distro, and we specialize exclusively in classic thrash and death metal reissues on CD, as well and continue to serve as a home for Autumn Tears. In 2009 we opened a sub label - "The Crypt" which specializes exclusively in vinyl reissues of classic metal titles. 9.On a worldwide level how have your long time fans reacted to the musical style that is presented on the new album? I am extremely thankful that everyone seems to have embraced the new style wholeheartedly from what I have seen and heard so far. Essentially I feel that we are still the same project and have not changed so drastically to have forgotten our roots, rather have just have expanded and matured in our style and sound. It's Autumn Tears 2.0! I definitely want to keep moving forward in the same direction, with fully orchestrated organic music, but if my ambition allows, I hope to make the scope of the project even more grand than it is now with even more musicians and vocalists. 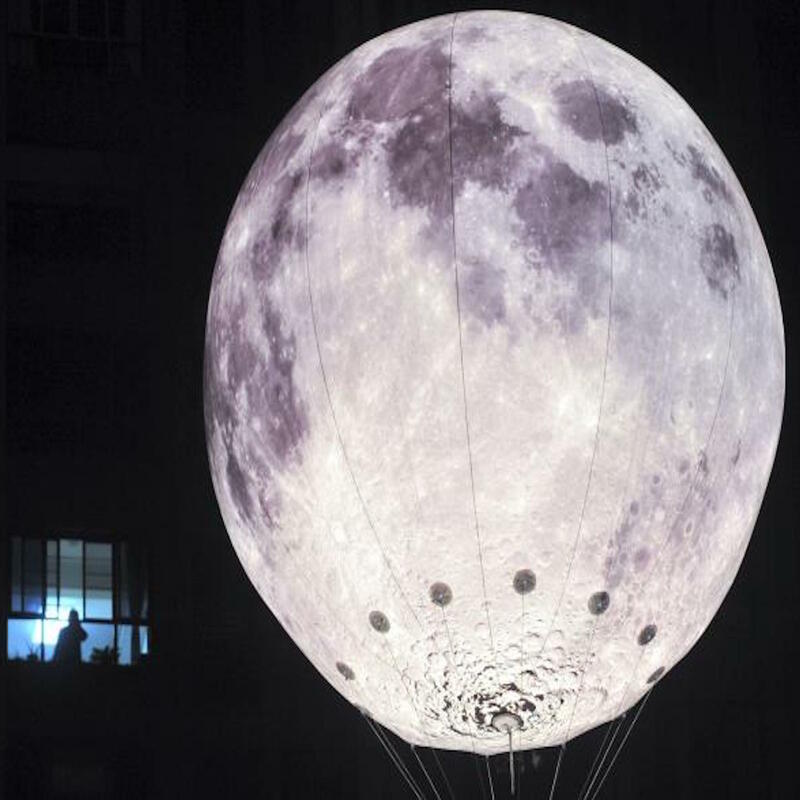 I suppose it is all a matter of how successful the project is and what the future budget will allow as we are still very much and independent act and self finance everything at this point. Most of the influences from the newest album come mainly from classical masters both old and new, including Vaughan Williams, Albonini, Arvo Pärt, Max Richter, Ólafur Arnalds, Mahler, Barber and of course Jóhann Jóhannsson. As far as what I listen to now, in addition to many of the great composers I still listen to a lot of classic underground death and thrash metal, as well as a good healthy dose of Devin Townsend. I love illustration, film, nature walks, reading, and bing watching netflix shows! I want to thank you again for this interview and the opportunity to share words with our fans. We apologize for having been gone so long, but we are definitely back for good now! New York's Gridfailure have returned with a new recording that shows the music going into a more experimental direction along with some elements of extreme metal and this is a review his 2019 album "Sixt Mass-Extinction Skulduggery I" which will be released in February by Nefarious Industries. Field recordings start off the album along with some avant garde style soundscapes a few seconds later. Growls and screams can also be heard in certain sections of the recording while some of the tracks are very long and epic in length along with the music also getting very experimental at times. Programmed beats are also added into some parts of the music and they also give the songs more of an industrial edge as well as the theremin bringing in a very haunting atmosphere when it is utilized. When bass guitars are added into the music they also give the tracks a more dark sound. Harmonicas can also be heard briefly while the ukulele when it is brought onto the recording it also gives the music more of an ethnic edge. Electric guitars can also be heard at times in the background and they also mix in with the more experimental and avant garde side of the music. All of the tracks sound very different which also gives the music more diversity and as the album progresses acoustic guitars are also added into certain sections of the recording. When percussion's are brought onto the recording they also add in more of a tribal and ritualistic style and later songs also add in female vocals, keys and violins. The production sounds very dark while the lyrics are a concept album based upon a grim. rapidly approaching reality which is also more on the more dystopian and apocalyptic side. 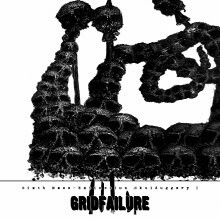 In my opinion this is another great sounding recording from Gridfailure and if you are a fan of experimental and extreme metal, you should check out this album. RECOMMENDED TRACKS INCLUDE "Sandy" "Post-Attack Habitat" and "Exsanguination Of The Utopians". 8 out of 10. At the end of 2018 we had to find a new drummer because Tomek had to go his own way. As usual - these are difficult moments when you have to say goodbye to a friend. Right now we are in the process of practicing old material with a new drummer. We want to be 100% ready for upcoming concerts. However, we remember that our main goal is to record the next album this year. 2.So far you have released one album, can you tell us a little bit more about the musical style you went for on the recording? It was simple because when we were recording the album, we didn't plan to form a band. It was a difficult time with a lot of sadness and uncertainty. It came out naturally, we gave vent to our emotions. 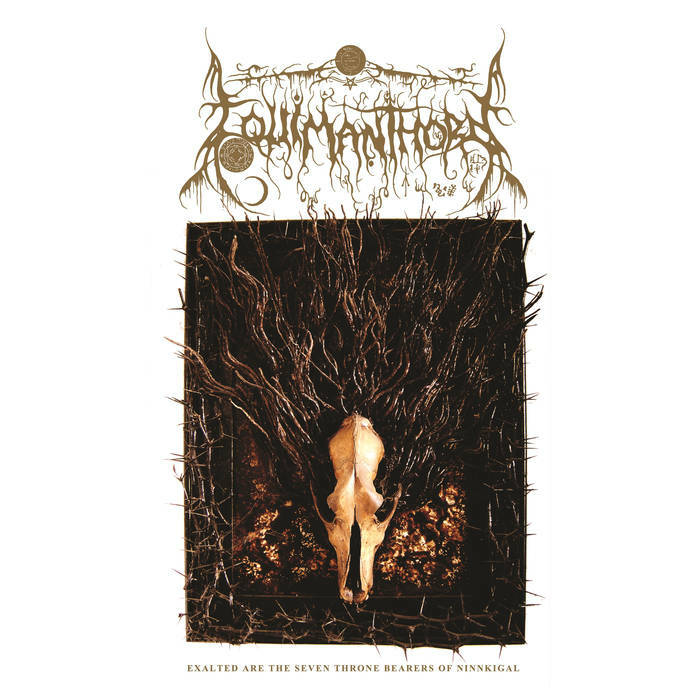 It’s certainly death doom metal, but you will also find black and funeral metal influences here. We are looking for inspiration wherever you find sadness, death and loneliness. 3.What are some of the lyrical topics and subjects the band has explored so far with the music? You can’t think "I'm going to write a sad song" and start writing. It doesn’t work like that. These emotions must flow from the depths of your bleeding heart, if you want it to be really honest and true. If you are not frank in what you do, people will quickly realize that you are faking. During writing lyrics on "Fade" I was fighting with other demons than now. I was in the process of tearing down my roots and the future was foggy. That's why the songs tell about the end, loneliness and emptiness. There’s a lot of melancholy here. But the next album will touch other issues. That's all I can say now. 4.What is the meaning and inspiration behind the name 'Death Has Spoken'? Meaning ... well ... I would translate it to: "The end has come”. Try to think about all the emotions that come with ‘the end’. There's a lot of it, right? Everyone thinks first about sad and painful things. But sometimes the end brings a bit of hope. All I'm trying to say is that we wanted to include in band name all the topics we're talking about. I think we made it. 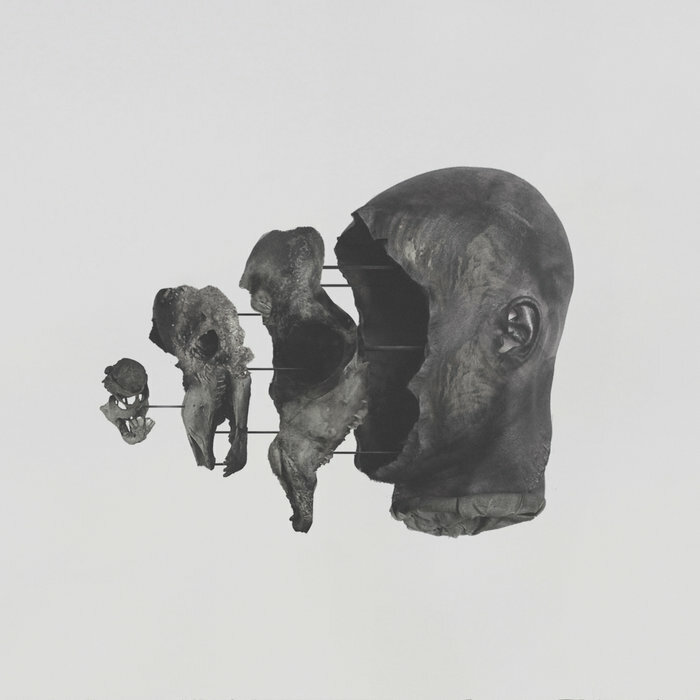 5.Can you tell us a little bit more about the artwork that is presented on the album cover? This is a very good question because I never thought about it. The author of this art is our guitarist Marcin and i think he could say more about it. Our first idea was a burned candle in the darkness of the tomb. After a few weeks Marcin brought a different project and we loved it. No one asked any questions, we just said “this is it”. Well, I need to ask him about it. I think all performances were on an equal level. Of course, you can always have a bad day and the show may not give you as much pleasure as always, but we don’t have bad memories of any performance. We try to play the best we can and give it everything, no matter how many people will be at the concert. Of course. However, I’m not allowed to talk about them yet. But be sure that we will soon inform you about the details. Honestly - we don’t have any proposals and currently we don’t try to get them. Probably, if they appears, we will consider them. So far, we’re going on our own and everything is going well so we don’t make radical changes. We cooperate with The Hanged Man Booking Agency which has expanded our concert possibilities. 9.On a worldwide level how has the reaction been to your music fans of doom and death metal? Very good so far. Positive reviews and opinions of the listeners have given us confidence and mobilizing us for further actions. 10.When can we expect another recording and also where do you see the band heading into musically during the future? We truly believe that we will be able to record a new album this year. But you know how it is - life can surprise you. Saying to everyone that this will be in this year, we are putting pressure on ourselves but we are mobilizing ourselves at the same time. We hope we will not regret this. About the new album - we will continue to follow the doom path. That's all I can say now. Oh man, there are so many bands that I don’t know where to start. Right now I’m waiting for the new Candlemass and Swallow The Sun albums. A few days ago I was on a great Draconian concert and I also bought a Doom:VS album "Dead Words Speak" - one of my favourites albums of all time. I think the same as hundreds of thousands of other guys. Too obvious to waste time, too boring to talk about. Thanks for your time. Stay tuned - Death will speak soon again. Sinister Downfall is a one-man project, which is rather atypical for this genre. It was founded in 2016. Since many ideas were already in mind at that time, it was possible to record a full album without first producing a demo. 2.In November you had released your first album with this project, can you tell us a little bit more about the musical style that you went for on the recording? For the kind of emotions and thoughts that Sinister Downfall pursues, a very slow tempo is best, which is supposed to emphasize the ruin and the emptiness. Large variations were deliberately avoided. Through the monotony I tried to convey an infinite void. An emptiness, as it would arise if all life would leave the planet. 3.You have participated in both black and doom metal projects, how would you compare the 2 different styles? Besides the two mentioned genres I'm also working on a death metal project with a very aggressive sound, which is stylistically on a completely different track. Each genre, with its characteristics is better or worse suited to express and convey certain emotions. That's why I'm not someone who bites into one genre and doesn't allow anything else. Every genre has its justification and I use them to express my thoughts. 4.What are some of the lyrical topics and subjects you explore with your music? The main theme is the end of all life on planet Earth. In my opinion humans are a misdevelopment, invading and destroying nature. This is of course known to everyone and can be seen daily in all its abnormal forms. No other living being develops such greed and unfounded destructiveness like man. Every phase of civilization comes to an end sometime, be it by a meteorite impact, an ice age or whatever. In my opinion, the era of the 'new' life, the era of the homo sapiens, will be ended by those sapiens themselves. And because the effects of human action bring about such serious destruction, the 'intelligent apes' will also drag all other living beings into damnation. A theme that is included in almost all of my musical works is philosophical pessimism. This can also be found in Sinister Downfall. 5.What is the meaning and inspiration behind the name 'Sinister Downfall'? I tried to describe the main theme of the music in two words. I am not someone who interprets too much into band names. The cover was drawn by Paint-It Black Design and shows the main theme of the project in one picture, namely the humanized form of death. Man is the one who will bring about his own death, so it is the perfect personification. 7.On the album you had recorded everything by yourself, do you feel you are able to express yourself a lot more musically by working solo? That's definitely the case. If I want to bring my own emotions into the music, then it inevitably only works individually. I can only make music by working alone. Why should it be any different than sculptors, painters, writers and other artists who always worked individually? 8.The new album was released on 'Funere', can you tell us a little bit more about this label? Funere is a new label from Armenia, which is specialized in doom metal. The interesting and special thing about it is that it is run by a woman, which is rather an exception in metal. Sinister Downfall's 'Eremozoic' was the first album released on this label. I really get along very well with the owner; the cooperation and support was excellent from the beginning and I don't care about the size of the label if everything else is good. 9.On a worldwide level how has the reaction been to your music by fans of funeral doom metal? I'm afraid I can't judge that very well because I don't follow it. Since there are people who order the CD and purchase the album digitally, it shows me that there are people who like my music and even if it were just one person, that would be enough for me. 10.What is going on with some of the other bands or musical projects these days that you are a part of? I invest a lot of my free time in music and don't need long breaks of inspiration. Donarhall will release a new album in the near future. For Hexengrab a demo was released on CD just a few days ago and my death metal project is almost finished. Not long ago I released the album 'Ritual' by Dark Fields from the field of drone / dark ambient. In this project I work together with my wife, who makes the art for the releases. This work is a synthesis of art and music. But most of the time it takes a bit longer to release stuff, because a suitable label has to be found. But all the other things are also permanently in work. This is very difficult to answer and to be honest, I never look too far into the future. I will continue as before, learning from my previous works and trying to evolve. Music is a big part of my life and will remain so forever. I can't name a particular band that has influenced me significantly. I think every song I've heard in my life has left a certain impression on me and had a certain influence on me. Of course that doesn't just include metal. Currently I listen to many different things. I like many young blackened death metal bands, who currently make excellent music. Of course I listen to a lot of black metal but also rather unconventional things, sometimes also classical music. 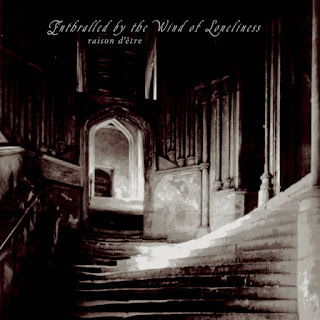 Dark ambient and all its dark and experimental offshoots have always fascinated me very much. I would like to thank all the people who listen to my music and support me. Also a big thank you to the labels that make analog releases possible and of course to people like you who are committed to the music and keep it alive through reviews, interviews and other reports. Keep supporting metal! Autumn Tears are a band from Billerica, Massachusetts that plays a mixture of neo-classical, cinematic score and world music and this is a review of their self released 2019 album "Colors Hidden Within The Gray". A cinematic orientated intro starts off the album while also introducing stringed and ethnic sounding instruments onto the recording. On the second track operatic female vocals are also introduced onto the recording as well as mixing in elements of classical music and the first 3 songs have a concept to them. Tragic sounding orchestras can also be heard quite a bit throughout the recording while the music also gets very symphonic at times. Elements of world music can also be heard quite a bit throughout the recording along with the female vocals also adding in a touch of goth.All of the songs also sound very different from each other which also gives the music more diversity. As the album progresses some of the tracks also start getting more long and epic in length. Later songs also introducing percussion onto the recording as well as the cinematic elements making the music sound more epic and one song also adds a small amount of classical guitars onto the recording, a later track is also all instrumental. The production sounds very dark while the lyrics cover dark and depressive themes. 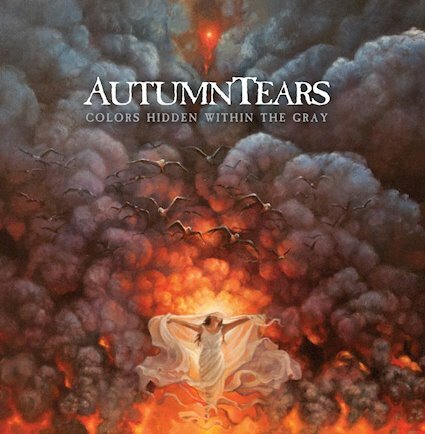 In my opinion Autumn Tears are a very great sounding mixture of neo-classical, cinematic score and world music and if you are a fan of those musical genres, you should check out this band. RECOMMENDED TRACKS INCLUDE "The Day Of Wrath" "Rainlight Ascension" "The Earth Song" and "Another Day". 8/5 out of 10. Aside from preparing Vol. 6 for release, not a whole lot. Usually by this point we have a good chunk of the next release written, but not this time. It was nice to have a bit of a break after recording this one, but we’re gearing back up as release day approaches. 2.In February you have a new album coming out, musically how does it differ from the stuff you have released in the past? Vol. 6 feels a bit faster than our previous releases, due in part to the black metal and traditional metal influences. We’ve been shifting away from the “stoner” thing since our last full length, although we never really embraced it. 3.The lyrics on the new recording are a concept album while all of the lyrics on your previous albums also follow a narrative, can you tell us a little bit more about the songwriting? The narrative spans all of our releases, with a few thousand years separate Volumes 1-4 from 5 and 6. In the beginning, each new song would push the story along. We didn’t know exactly where it was going as we wrote it. The past few releases have been far more structured, with an outline laid out before the individual songs were written themselves. 4.What is the meaning and inspiration behind the name 'Seer B.C'? Well the “Seer” part is related to the narrative, although we haven’t explicitly stated how yet. “BC” isn’t really part of our name, but we tacked in on unofficially just in case another band comes for the Seer name. The artwork was done by Cauê Piloto, a Brazilian painter. We like to find talented artists that are just beginning to break out, and at the time I think he had only painted one other album cover, for Jupiterian. He’s since done the new Un album and I’m sure we’ll see a lot more of him soon. The art depicts a few parts of the narrative brought together into a single piece. Our protagonist is present, as well as the entity he meets in the final act, and the monastery he belongs to is hiding in the back. Our favourite gig so far was a year ago with Elder in Vancouver. It was one of those shows where the vibe was just right. Typically when things are going well, the members of the band fall into a trance and achieve maximum telepathic capacity, and the audience is pulled into the divine cosmic energy. You know? We have a gig lined up with Conan and Vancouver locals Bushwhacker in February. Aside from that we’re releasing the record and seeing what comes of it. We’re hoping to get on the road and play the new songs to fresh audiences. 8.The new album is going to be released on 'Artofact Records', can you tell us a little bit more about this label? Artoffact has their roots in electronic music but are no strangers to rock and metal. They’ve released records for some of the legendary industrial groups like FLA and Decree, and have a bunch of young artists putting out some great stuff as well. 9.On a worldwide level how has the reaction been to your music by fans of stoner, sludge and doom metal? To oversimplify: people who appreciate experimentation and genre-melding seem to appreciate what we do, and purists do not. That’s totally fine with us. Peter plays in Empress and Kyle tours with Wormwitch. There are a number of side projects in the works that should surface in the near future featuring various members of the band. We found ourselves a bit with Vol. 6. Things will continue to evolve, but at this point we at the very least have an idea of what we don’t want to do anymore. I’ll just go ahead and list a bunch. For Vol. 6 we took inspiration from Candlemass, Blue Öyster Cult, King Crimson, Black Sabbath, Judas Priest, Godflesh, Queensrÿche, Taake, Bathory, The Ruins of Beverast, Dissection, Ennio Morricone, and many others. Currently we’re listening to a lot of Triptykon, Necrot, Idle Hands, Blood Incantation, Ascension, Bölzer, Jesu, Drab Majesty, Bohren & Der Club Of Gore, Daughters, Primordial, and the list goes on. We have a number of projects and businesses we are involved in. Josh has a studio in East Vancouver called Vintage Rigs, Bronson runs a Norse-inspired jewelry and apparel online shop called Hellrune, and Kyle has a screen printing business called Rite of Permanence and hosts a podcast called The Process. Spin Vol. 6! Check out Hellrune and The Process! If you need a print call ROP! If you want to record your band get at Vintage Rigs! Thanks! 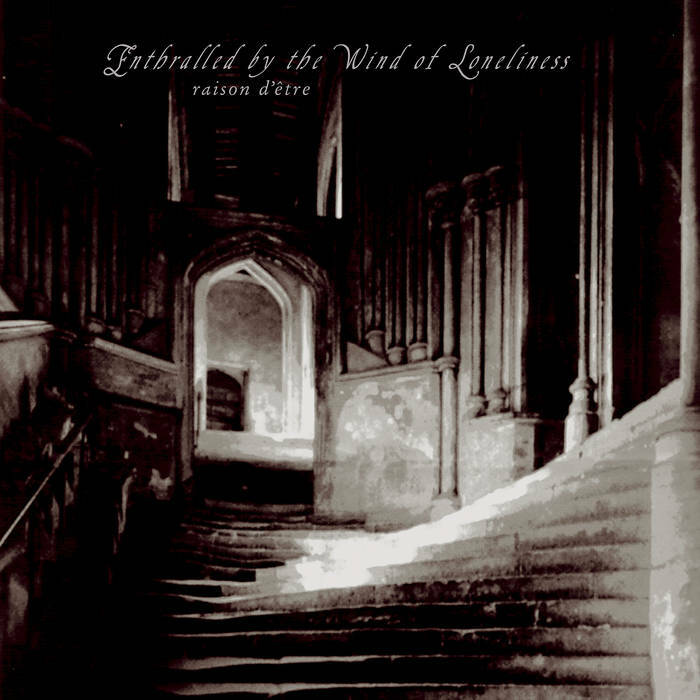 This is a review of another recording from Sweden's Raison D'Etere which continues his mixture of dark ambient and drone and the album was originally released in 1994 and called "Enthralled By The Wind Of Loneliness" with the re-issue being released on vinyl in 2018 as a joint effort between Cyclic Law and Old Europa Cafe. Water sounds start off the album along with some ambient style soundscapes a few seconds later as well as a great amount of synths being used throughout the recording. At times the music also captures a shamanistic atmosphere while a great portion of the tracks are very long and epic in length. Some of the tracks are also all instrumental along with the synths also mixing in elements of neo-classical at times while also using a variety of many different sounding keys. Programmed beats are also a very huge part of the recording and also gives the songs more of a martial or militant feeling. One track also introduces monk chants into the music along with all of the songs sounding very different from each other. Ethnic style instruments are also added onto a couple of tracks and also gives the music more of a ritualistic atmosphere and atmospheric sounding drones are also utilized at times as well as a touch of noise being added in at times. As the album progresses a brief use of tribal percussion and field recordings can also be heard and the production sounds very dark. In my opinion this is another great sounding recording from Raison D'Etere which is also very different from t he previous albums reviewed and if you are a fan of dark ambient and drone, you should check out this re-issue. RECOMMENDED TRACKS INCLUDE "The Awakening" "The Narrow Gate" "Pathaway" adn "Maze Shrine". 8 out of 10. Death Has Spoken are a band from Poland that plays funeral doom/death metal with some elements of black metal and this is a review of their self released 2017 album "Fade". A very dark and heavy sound starts off the album along with some melodic riffing a few seconds later. Elements of funeral doom metal can also be heard in the slower sections of the music along with the solos and leads being done in a very melodic style and the vocals are mostly death metal growls. Black metal screams can also be heard in certain sections of the recording while clean guitars are also added into certain sections of the recording. At times the music also captures some of the more atmospheric style and all of the musical instruments have a very powerful sound to them. A touch of melodic doom/death metal can also be heard in some of the guitar riffing as well as the music also capturing a depressive atmosphere which also invokes a great amount of sorrow and all of the music sticks to a slower direction, the production sounds very professional for being a self released recording while the lyrics cover death, mourn, despair, hopelessness, and depression themes. 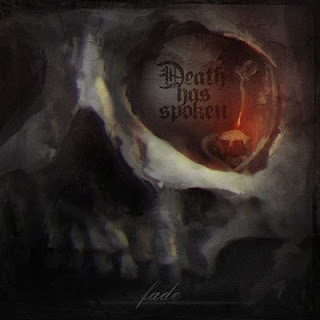 In my opinion Death Has Spoken are a very great sounding funeral doom/death metal band with a touch of black metal and if you are a fan of those musical genres, you should check out this album. RECOMMENDED TRACKS INCLUDE "Respite From Tears" and "To The Darkness of The North". 8 out of 10. Raison D'Etere are a musical project from Sweden that has recently had music reviewed in this zine and plays a mixture of dark ambient, industrial and drone and this is a review of his 1993 album "Prospectus I" which was re-issued in 2018 by Cyclic Law. Atmospheric sounding drones start off the album along with some bells which also gives the music more of a ritualistic feeling. Spoken word parts are also added into some parts of the music while the synths also add in elements of dark ambient. A great portion of the tracks are very long and epic in length. Gregorian chants are also added into some parts of the music as well as some programmed beats also being added into some parts of the songs. A great amount of industrial elements are also utilized quite a bit throughout the recording and all of the songs also sound very different from each other along with a good amount of diversity. At times the music gets very experimental and avant garde sounding along with the synths also experimenting more with different sounding keys as the album progresses. A great portion of the tracks are also all instrumental and at times the programmed beats also gives the songs more of a militant and martial feeling and some tracks while some tracks also sample church choirs. The production sounds very dark while the song themes focus on theology and religion from a philosophical perspective. 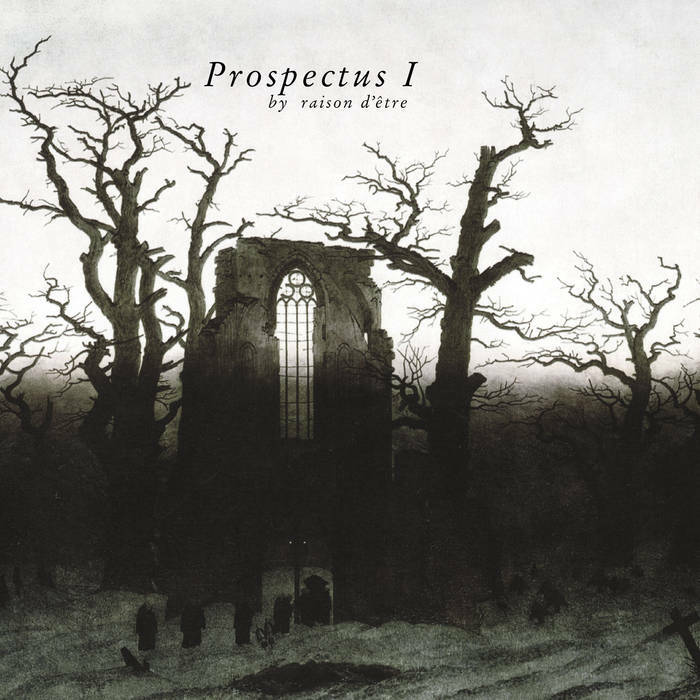 In my opinion this was a very great sounding recording from Raison D'Etere and if you are a fan of dark ambient, industrial and drone, you should check out this re-issue. RECOMMENDED TRACKS INCLUDE "Katharsis" "Mesmerized in Sorrow" "Penumbra" and "Inquest". 8 out of 10. This is a review of a self released split between United Kingdom's Coltsblod and U.S.A's Un which will be released in February and we will start off the review with Coltsblood who return with their mixture of sludge and funeral doom metal while also showing more of a black metal influence this time around. 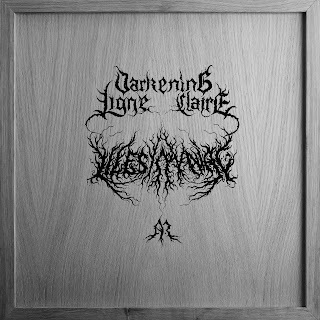 Their side of the split starts out with atmospheric sounding synths and a powerful bass guitar sound which also evolves into more of a slower funeral doom metal direction. Their track is very 20 minutes in length while the vocals are mostly deep death metal growls along with some black metal screams also being used at times. The riffs also capturing the heaviness of sludge metal while the music also uses a small amount of blast beats when the music finally speeds up. Distorted guitar leads are also added into some parts of the music along with the song also adding clean guitars into some parts of the music and spoken words also being used briefly. The production sounds very professional while the lyrics cover dark myths. In my opinion this is another great sounding track from Coltsblood which shows them mixing black metal in with their mixture of sludge and funeral doom metal and if you are a fan of those musical genres, you should check out their side of the split. 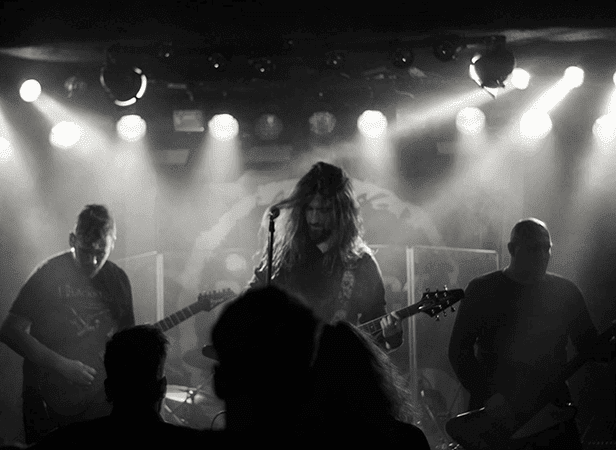 Next up is Un who return with their mixture of funeral doom, death and sludge metal. Their side of the split starts out with some clean playing along with some drums after awhile while their track is 21 minutes in length. When the music goes into a heavier direction it brings in more of a slow funeral doom metal style which also introduces death metal growls onto their side of the recording. 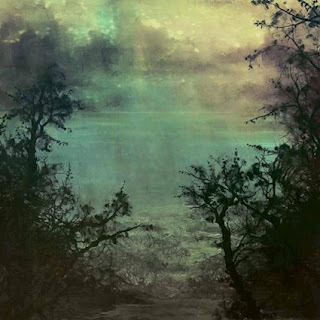 At times the music also mixes in the heaviness of sludge while the dark and depressive sounding melodies in the riffing go back to the early 90's atmospheric doom/death metal era and the song always sticks to a slower direction as well as some screams also being used briefly, towards the end drones are also added into the music. The production sounds very professional while the lyrics cover death, emptiness, grief and desolation themes. In my opinion this is another great sounding track from Un which shows their music going into more of a heavier direction than previous releases and if you are a fan of sludge and doom metal, you should check out their side of the split. In conclusion I feel this is a very great sounding split and I would recommend it to all fans of sludge and funeral doom/death metal. 8 out of 10. Treha Sektori are a solo project from France that plays dark ambient and this is a review of his 2019 album "The Sense Of Dust And Sheer" which was released by Cyclic Law. Atmospheric soundscapes start off the album while the first track is 25 minutes in length while the synths also bring in elements of dark ambient along with some demonic sounding growls also being used briefly as well as some spoken word parts and whispers also being utilized at times. Programmed beats are also utilized at times and they give the music more of a ritualistic feeling along with some drones also being added into certain sections of the recording as well as some clean singing also being used briefly and as the album progresses a small amount of percussion, ethnic instruments and tribal beats are added onto the recording and one track also introduces guitar sounds into the music.  Teha Sektori plays a style of dark ambient that is very atmospheric while also having its experimental and ritualistic moments which also gives the music more diversity and the production sounds very dark.. In my opinion Teha Sektori is a very great sounding dark ambient solo artist and if you are a fan of this musical genre, you should check out this album. RECOMMENDED TRACKS INCLUDE "The Sense Of Dust And Sheer" and "Sahe Fernah". 8 out of 10.